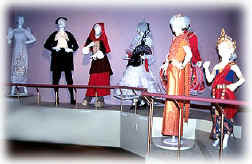 In 1996 Zenbat Gara made five costumes from the Zuberoako Maskaradak for permanent display at Parc de l'aventure Basque en Amérique in Trois Pistoles, Quebec. 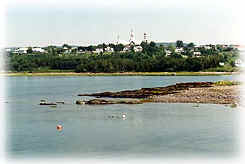 Trois-Pistoles is located on the Saint Lawrence River in Quebec. 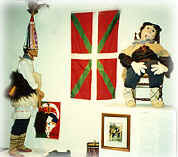 There one can visit sites where 16th century Basque whalers rendered oil from whale blubber and set up camps. The museum features a cutaway replica of a whaling ship and several interactive features as well as a genealogy library. Zenbat Gara Scapular for dances from Lesaka on display in the touring exhibit Amerikanuak by the High Desert Museum. Display of Zenbat Gara Yoalduna costume and Olentzero at Nevada Museum of Art in Reno. 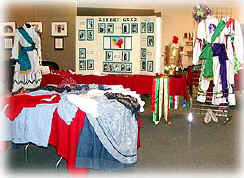 Zenbat Gara recently had two costumes from the province of Zuberoa on display as part of the Nevada Arts Council's exhibit, Handed Down, which highlighted their Folk Arts Apprenticeship Program. 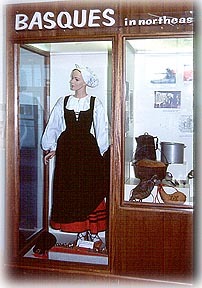 The exhibit was shown in Carson City and in Las Vegas. 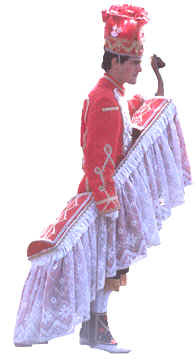 Twenty of Zenbat Gara's dance costumes were displayed at the Basque Museum and Cultural Center in Boise, Idaho for the 2001 San Inazio Jaiak.